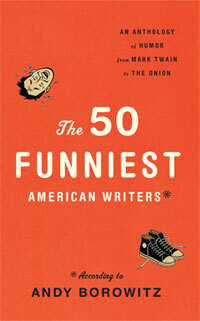 This past week The Library of America published its latest anthology, The 50 Funniest Writers, edited by Andy Borowitz. Previously on Story of the Week we presented one of the book’s selections, “The Ransom of Red Chief,” which was written during the first decade of the twentieth century; this week we present a story from the final decade. It’s merely a coincidence that both selections feature the youngest members of our species; while O. Henry describes a ten-year-old who terrorizes his kidnappers, Susan Orlean offers her post-Swiftian take on the problem of babies and what to do with them. You can read more of Susan Orlean's writing on Free Range (her blog for The New Yorker) or follow her on Twitter. QUESTION: Why don’t more babies work? Excuse me, did I say more? I meant, why don’t any babies work? After all, there are millions of babies around, and most of them appear to be extremely underemployed. . . . If you don't see the full story below, click here (PDF) or click here (Google Docs) to read it—free! "Song of Myself": "I loafe and invite my soul, I lean and loafe at my ease....observing a spear of summer grass." "Shirtless Little Loafers": "One recent summery morning...the park was filled with babies all loafing around..." the baby turned his attention ferociously and uninterruptibly to one of his toes and then, suddenly, to the blade of grass..."
I think it points to the deeper theme Susan Orlean was exploring here. The story is funny, but the last paragraph beautifully articulates something basic about being human that we tend to forget and that babies and Walt Whitman might have down better than most of us. I'm pretty sure Whitman inspired her here! Just can't get 'into' this one. I didn't really like it. It was just meaningless ranting in my opinion...babies are smart...and smart people choose not to work? What was that all about?